Giovanni Battista Russo (G.B. 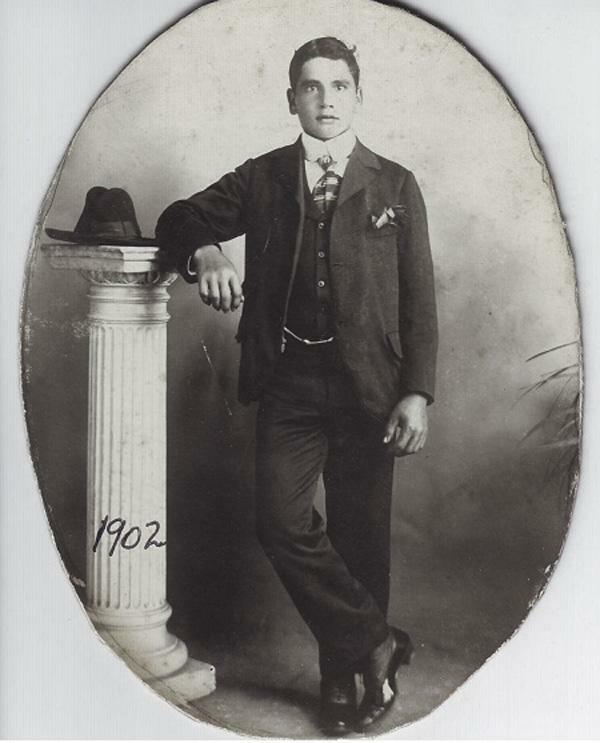 ),j dressed in a suit typical of the time period, leans on a pillar where is hat is resting. His shoes appear to be patent leather, possibly covered by spats, and a watch chain is drapped across the front of his vest. The date 1902 has been written across the pillar indicating this portrait was taken not long after his arrival in Grand Rapids.